Set right on the promenade and just 50 metres from the beach, Vacation home Rajski Dvor presents air-cooled accommodation with free internet access, flat-screen satellite television and a furnished balcony or outdoors terrace. Visitors can sit back on the 70 m² spacious terrace with sun loungers, parasols and grill. Morning meal can be served in the rooms for an extra cost. All units have a safety box and a private toilet with shower, and well-equipped kitchen. The closest grocery shop is 150 metres away, while at a distance of 200 metres, a wellness, spa and fitness centre are situated. Boat, canoe and mountain bike accommodations are possible 500 meters from the property. City centre and the Zlatni Rat Beach are within a 500-metre radius, while the local bus station is 400 metres from the Rajski Dvor Villa. Boat trips to the historic town of Split or the not far away islands of Korčula, Hvar and Modra Cave on Biševo Island can be arranged in the proximity. Guests can also visit Vidova Mountain, a 15-minute drive away. Villa Christina ~0,1 km, Bol Please inform Apartments Vacation home Christina in advance of your expected arrival time. You can use the Special Requests box when booking, or contact the property directly with the contact details provided in your confirmation. Villa Rajski Dvor ~0.1 km, Bol Set right on the promenade and just 50 metres from the beach, Vacation home Rajski Dvor presents air-cooled accommodation with free internet access, flat-screen satellite television and a furnished balcony or outdoors terrace. Visitors can sit back on the 70 m² spacious terrace with sun loungers, parasols and grill. Morning meal can be served in the rooms for an extra cost. 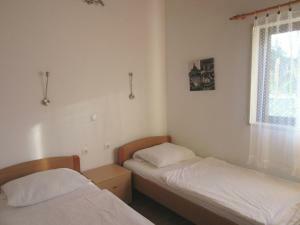 All units have a safety box and a private toilet with shower, and well-equipped kitchen. The closest grocery shop is 150 metres away, while at a distance of 200 metres, a wellness, spa and fitness centre are situated. 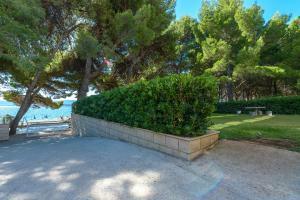 Villa Mediterranea ~0,1 km, Bol Positioned 150 metres from the centre of Bol on Brač Island, Vacation home Mediterranea presents a back yard with an outdoor pool. Free car parking and free internet access, as well as grill amenities, are provided at the property. The widely known beach Zlatni Rat is 250 metres away. All units are air-cooled and feature a private outdoors terrace, a seating area, a sofa and satellite television. 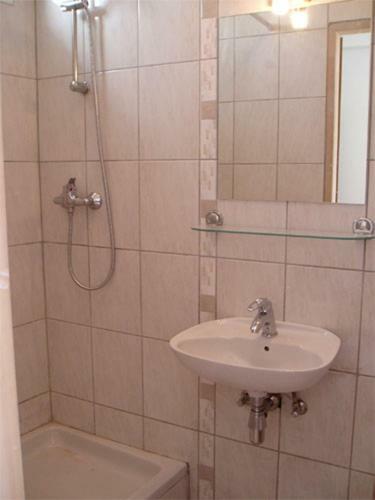 a fitted kitchenette is available, while the private toilet provides a shower. The terrace is equipped with a table and chairs and offers a view of the garden or the sea. Laundry and ironing service is available and apartments are cleaned every day. Apartment Promenade Zlatni Rat ~0,1 km, Bol price per day from € 130 Providing a back yard, Apartment Promenade Zlatni Rat presents pet-friendly accommodation in Bol. Kitesurfing School Bol is 200 metres from the property. There is also a dining area and a kitchen fitted with a dishwashing machine. A microwave and fridge are also provided, as well as a kettle. You can play tennis at the property, and the area is famous for parasailing. The closest flight terminal is Brac Airport, 4 km from the property. Apartment Domagoj ~0.1 km, Bol Situated 32 km from Split, Apartment Domagoj presents accommodation in Bol. 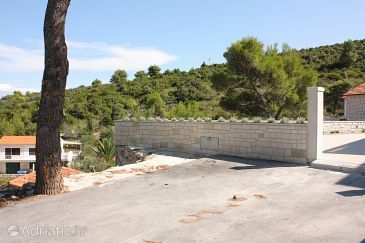 The property presents views of the sea is 31 km from Makarska. Gratis wireless internet is provided throughout the property and free car parking is available on site. Hvar is 19 km from Apartment Domagoj, while Trogir is 43 kilometers away. The closest flight terminal is Brac Airport, 4 km from Apartment Domagoj. Murvica ( ~ 3.8 km ): 3+ apartments,. Pucisca ( ~ 12.1 km ): 42+ apartments. Postira ( ~ 13.1 km ): 234+ accommodation units. Beach Zlatni Rat, Bol ~ 1,1 km from Villa Rajski Dvor Sandy beach: ideal for families, recommended for young people, with restaurant, with caffe bar, equipped with showers. Excellent choice of watersports. Beach Fkk Paklina, Bol ~ 1,2 km from Villa Rajski Dvor Sandy beach: ideal for families. Nudism is allowed. Beach Samostan, Bol ~ 1,7 km from Villa Rajski Dvor Sandy beach: ideal for families, recommended for young people, awarded with blue flag, with restaurant, with caffe bar, equipped with showers. Beach Basina ~ 7 km from Villa Rajski Dvor Concrete beach: ideal for families, with restaurant, with caffe bar, equipped with showers. Excellent choice of watersports. Beach Fkk Zecevo, Vrboska ~ 8,5 km from Villa Rajski Dvor Gravel beach: with restaurant. Nudism is allowed. Restaurant Restoran Centar Marijan, Bol Guest reviews: 8,5/10 ~ 0,8 km from Villa Rajski Dvor Address: Put Zlatnog Rata Bb, Bol. Cuisine: International cuisine. Restaurant Vagabundo & Bar, Bol Guest reviews: 7,2/10 ~ 0,6 km from Villa Rajski Dvor Address: Ante Radica 36, Bol. Cuisine: Croatian cuisine. Restaurant Arguola sandwich bar, Bol Guest reviews: 9/10 ~ 0,7 km from Villa Rajski Dvor Address: Ulica Vladimira Nazora 6, Bol. Cuisine: Fast Food. Restaurant Equinox, Bol, Bol Guest reviews: 7,7/10 ~ 0,7 km from Villa Rajski Dvor Address: Vladimira Nazora 6, Bol. Cuisine: Croatian cuisine. Restaurant Ribarska kucica, Bol ~ 1,4 km from Villa Rajski Dvor Address: Ante Starceviceva bb, Bol. Prices: 218 HRK - 868 HRK. Cuisine: Croatian cuisine.